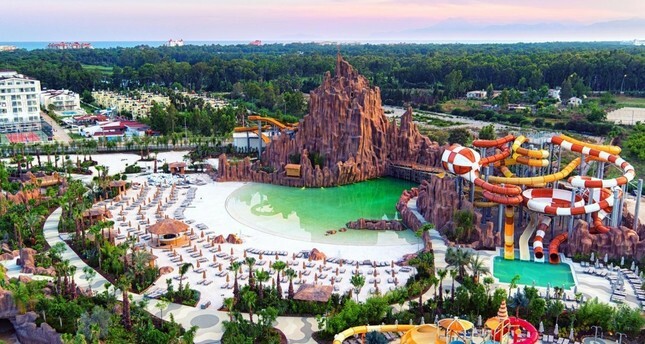 A project that should play an important role in Turkish tourism, the theme park project will begin operating as of July in the Belek district, and is a collaboration between Rixos World Parks & Entertainment, one of the world's largest real estate corporations Dubai-based Emaar Real Estate PJSC, and the world's leading brand in cultural creativity Dragone Productions. Undersigning a great number of global projects in the world's most important markets such as the Middle East, North Africa, the Indian subcontinent, South Asia, the United States and Europe, Emaar adds a new dimension to the project as it controls the management of the shopping units, and has vast experience in the sector of shopping malls and retail stores. Among its best-known locomotive projects is the world's tallest building, Burj Khalifa, and the world's largest shopping mall and entertainment center, the Dubai Mall. Hailed as a unique concept, as every possible aspect of a holiday is perfectly harmonized, The Land of Legends will be a brand new entertainment concept with its striking architecture and the creativity of entertainment world legend Franco Dragone. The founder and art director of Dragone Productions has been organizing shows, water-themed theatrical shows in particular, for over 100 million people in Las Vegas, Macau, Paris, Wuhan, Dubai and Russia, and will bring the glamour of the entertainment world into Turkey.Speaking at the theme park's press conference on June 15, Rixos Hotels Chairman Fettah Tahmince said: "The Land of Legends is the first ring of the new generation entertainment destinations that we will revive. With this project, we create a new destination beyond a hotel, a theme park, shopping units and aqua parks." 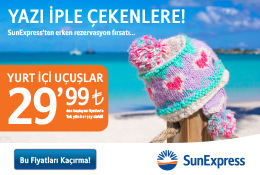 Indicating that the aim of the project, which would bring new color into Antalya's rich product diversity, was to be one of the first entertainment and holiday choices of approximately 3 billion people living in the region covering Turkey and its surroundings, Tahmince noted that they initially wished to attract local tourists with different projects. Consisting of three stages, the project's first stage will be opened in July and cost nearly TL 1.5 billion so far. When all the stages are completed by 2018, the investment is expected to reach TL 4 billion. In addition to its construction, the investment in technology, performances, stages and visual art design plays an important part in the project, and nearly 50 percent of the total investment comes from equity capital. Tahmince said it was the right project to be conducted, Tahmince pointed out that they would continue contributing to Turkey's tourism sector along with brand new projects in the upcoming periods. According to Tahmince, the problems between Turkey and Russia will hopefully be resolved soon and the current correspondence between the two countries paints an optimistic picture. The current state of the project comes after a 30-month operation. Land of Legends Theme park stretches across a nearly 800,000 square meter-area. While the first stage has provided employment for 1,000 people, 4,000 people are expected to be employed when the third stage starts. The theme park includes a 111-meter long Legends Tower, which will mostly host family activities, and the visitors will enjoy shopping at well-known stores, accompanied by entertaining shows and a boat parade along with the glamorous rhythm of French horn and drums. The five-star hotel on site, also called "The Kingdom," is located on a 17,000-square meter area and has over 400 rooms including family rooms, standard suites, a presidential suite and four rooms for physically disabled guests. Each room has a double screen LED TV and PlayStation. The theme park offers shows and virtual platforms, such as simulations and animations using special technologies. The Legends of Aqua entertainment park includes an aquarium called "Waterfront Kingdom," which enables visitors to swim with dolphins and experience an underwater safari; "Secret Lagoon" with a wave ball pool and lazy river; and "Adventure Rapids" including over 70 water slides, a 43-meter long typhoon coaster reaching up to 85 kilometers per hour, and a 5D cinema. After visitors take surfing lessons from professional trainers they can relax at Anjana Spa, which offers options such as Turkish baths, saunas and steam baths. 111 Restaurant will offer visitors a chance to taste world-famous dishes accompanied by an aquarium full of different species.